Azerbaijan's capital Baku hosted an international conference to celebrate the 290th anniversary birthday of Turkmen poet and philosopher Magtymguly Pyragy. The event titled "Magtymguly Pyragy - poet of friendship and brotherhood" was held on May 7 at the Institute of Manuscripts of the Azerbaijan National Academy of Sciences (ANAS) with the support of the Turkmen Embassy in Baku. The event was attended by the intellectuals, public figures and honored guests from Azerbaijan and Turkmenistan. Addressing the event, ANAS Vice-President, Director of the Institute of Literature Isa Habibbayli welcomed the guests and informed them about the live of Magtymguly Pyragy. In his speech, Director of the Institute of Manuscripts Teymur Karimli informed the participants about Magtymguly Pyragy's creativity, who made an invaluable contribution to the literature. He said the poet's wonderful works have become an integral part of the world civilization. In his remarks Turkmen Ambassador to Azerbaijan Toyli Komekov gave detailed information about great Turkmen poet Magtymguly Pyragy, who was born in Turkmenistan. The diplomat noted on May 18 Turkmenistan will celebrate the 290th anniversary birthday of Magtymguly Pyragy. This event is going to be held with the initiative of Turkmen President Gurbanguly Berdymukhamedov. "May 18 is annually celebrated in Turkmenistan as the Day of Revival, Unity and Poetry of Magtymguly Pyragy, and this day is considered as one of the main holidays of the country and symbolizes the unbreakable tie between the generations of the Turkmen people and an ancient culture," Komekov said. The ambassador went on to say that the great poet and thinker Magtymguly Pyragy has been glorifying the Turkmen people with his immortal work for nearly three hundred years. Komekov also noted today Magtymguly Pyragy's creativity spiritually satisfies not only the Turkmen people but also other peoples of the world. 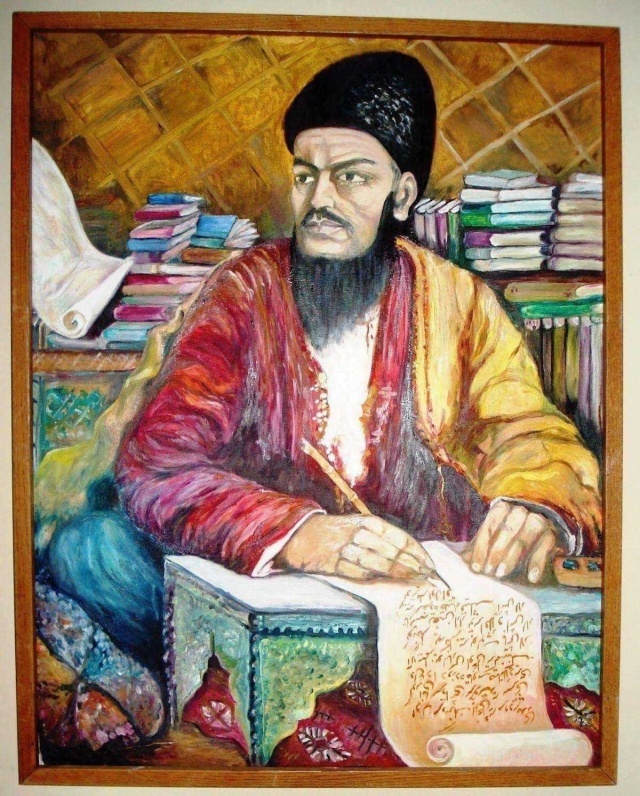 A Turkmen spiritual leader and philosophical poet who made significant efforts to secure independence and autonomy for his people in the 18th century, Magtymguly was one of the first Turkmen poets to use the classical Chagatai as a literary language incorporating it into Turkmen linguistic features. Magtymguly's poems exemplify a trend towards increased usage of Turkic languages (as opposed to Persian), and he is respected as the founder of Turkmen poetry, literature, and language. Magtymguly is also widely considered as a holy figure among Turkmen communities, and his poems are often quoted as proverbs in Turkmen societies. His poems are often highly personal but at the same time take up universal themes. His work includes elegies on the deaths of his father and children and disappearance of his brothers, incitements to Turkmen unity, tirades against unjust mullahs and khans, praise for religious figures (such as the Twelve Imams), and laments at losing his beloved to another.